Pacific Seascape II, Seattle, Washington photograph by Louis "Michael" Gibson. Print is 5 x 7" mounted in a 8 x 10" mat and comes with a plastic protective sleeve. Hang on the wall as is or slip it into your favorite frame. Please contact us at time of order to indicate your preference for a red or black mat. US domestic shipping is included in the price. Watermark is not visible on matted photograph. 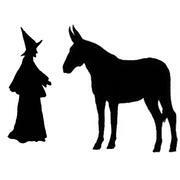 Do you love this print but would rather own it on a coffee mug, journal, greeting card or other gift item? 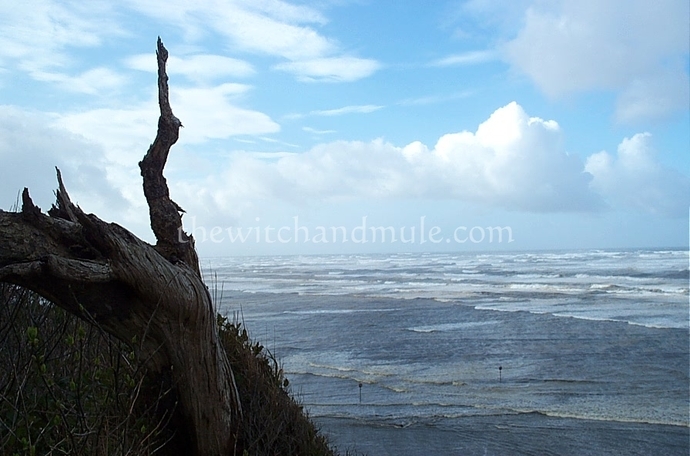 Check out our sister site at http://www.cafepress.com/thewitchandmule and click on the Pacific Seascape II link. Louis Gibson, known as Michael to those of us who loved him, was a talented photographer and musician. His kind heart, creative spirit and gentle humor were a joy in our lives and we dearly miss him. Before he died he gave us many of his beautiful photographs. We would be remiss if we didn't share this part of his beautiful soul with the world. A $5 donation to the Human Rights Network will be made in memory of Michael for each of his photos sold through our Zibbet shop.